Giving, the way it is down on Indian Lake. 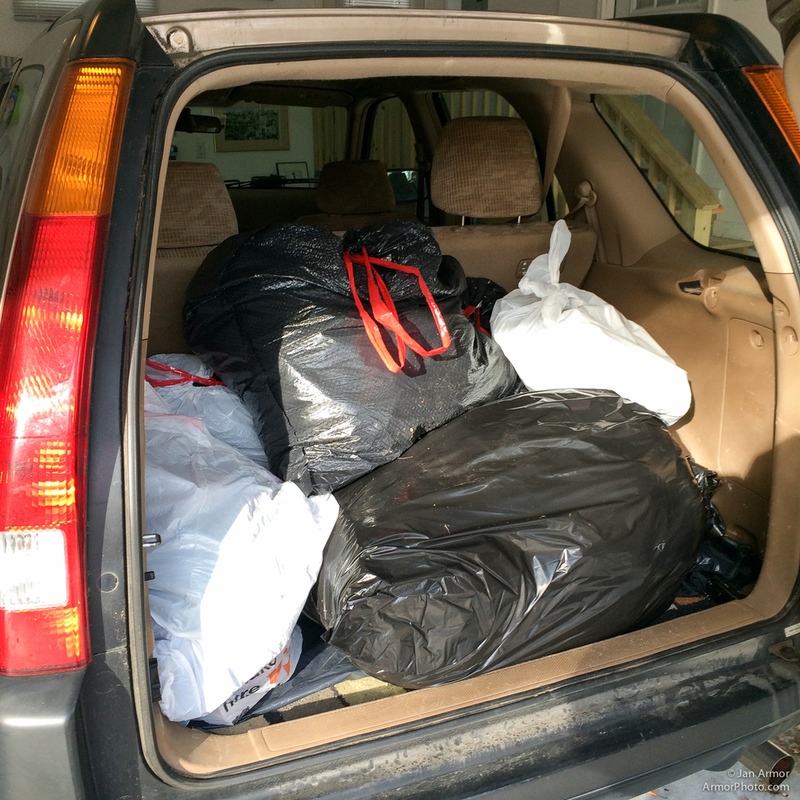 The bags of clothes filled the back of the SUV. It was gratifying to see this huge pile of donations from just the one email I sent around. Many of my neighbors here on the lake, the Indian Lake Shores Fire District, responded to my request for warm clothes. 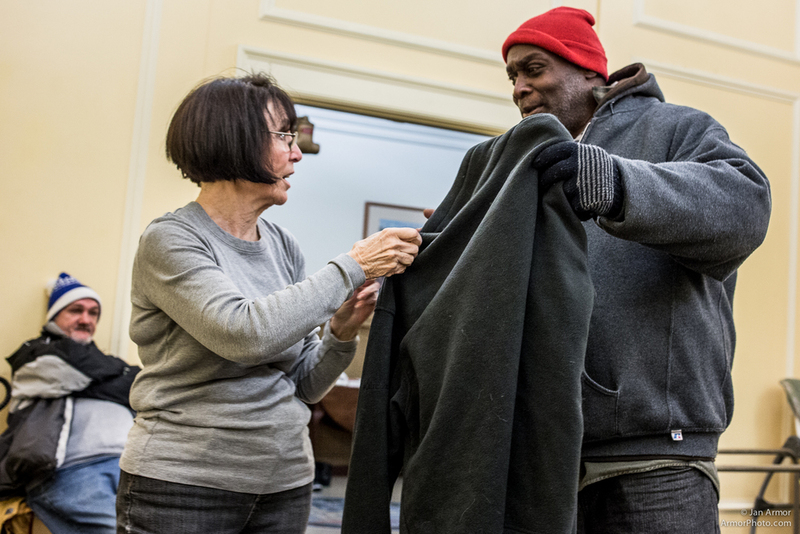 As we began sorting through the items and hanging winter coats, a line of men and women formed at the door, hoping to find anything that would help protect against the cold. These pictures tell the story. Most of the clothing was gone before the breakfast even began, and we heard many expressions of appreciation. Perhaps more than you and I, these folks know that winter is coming. Kathy and I thank you generous neighbors for these donations! And if anyone else has any winter clothing that is just taking up room in the closet, or doesn’t fit anymore, please stuff it in a bag and drop at my garage door. 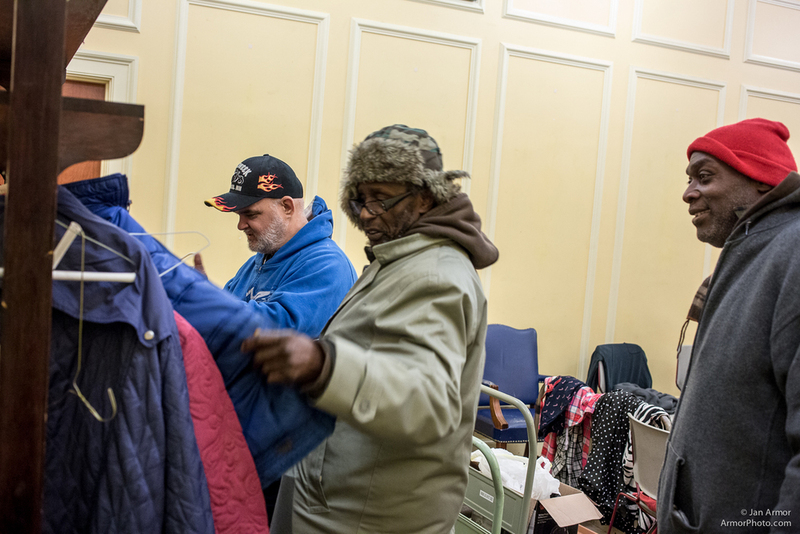 Hats, coats, socks, thermal underwear, etc. We will see that your donations go to folks who really can use them.